The day starts as usual with classroom debriefing of the day before’s theory and how well it related to their practical projects and after a nights thoughts their own workplace and practices. Discussion regarding the day’s learning units, outcomes and projects, expected standards, issues and or problems. Feedback both directions indicated good understanding of the units started, basic, Communication, Plans and Calculations. Assessment discussed types of questions areas of guild knowledge covered, method, reason and purpose of assessment. Part Formative part Sumative, to identify any gaps in knowledge and discuss them and guide students to where and how to get the information they need to become competent.. Calculations lead to questions about hourly rates and how much labour costs are and what you have to charge to make a profit and stay in business. This relating directly to their work and how much it costs to employ people broke out into a full discussion of economics, work ethics, quoting and the workplace environment. Generally all students got the purpose and methods used to calculate and price a materials quote. Next step labour, equipment and running costs for your own business. All work standards were now up to industry standards thought the hand skills and speed remain quite low but a noticeable improvement or the previous week level. Assessment levels for the core practical skills averaged at approximately 75%, a great achievement in just 2 weeks of tafeSA training sessions. 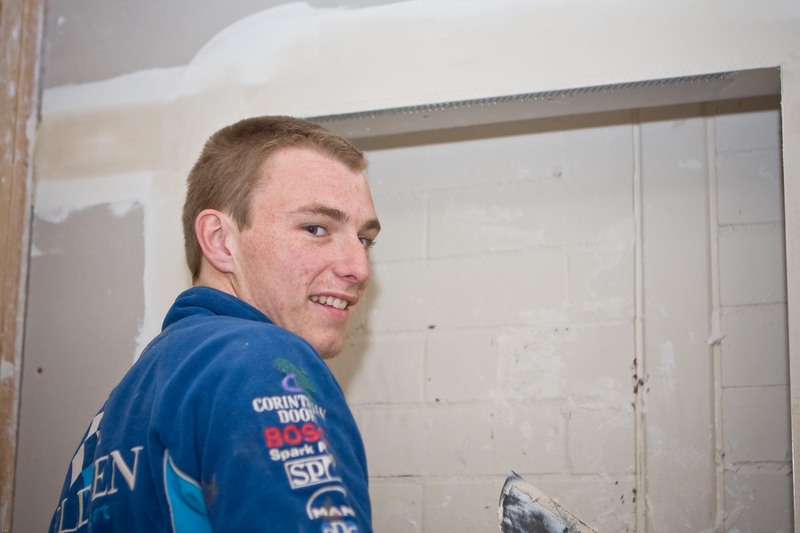 This entry was posted in CPC08, Qualifications, tafeSA, Training, Uncategorized, Wall & Ceiling Lining and tagged Action Learning, adelaide, Assessment for Learning, gilles plains, students, tafeSA, training, Wall and ceiling lining. Bookmark the permalink.